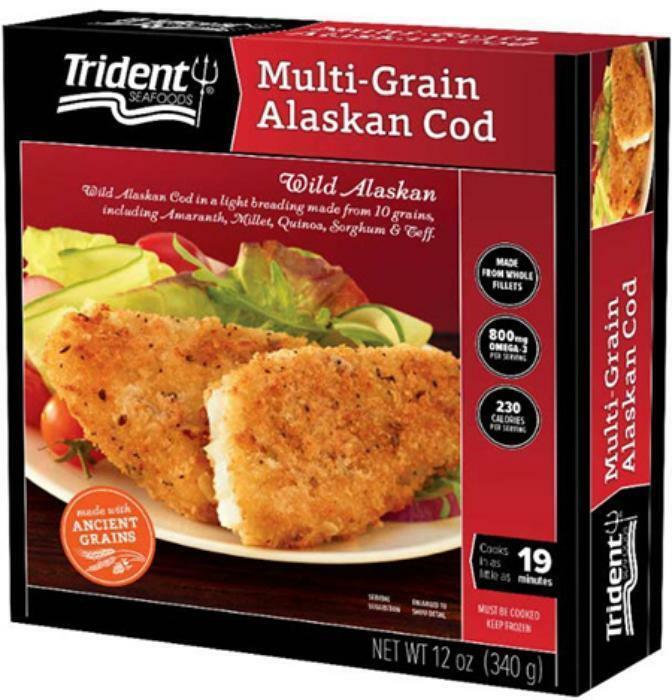 Trident Seafoods Corporation is recalling select lots of frozen Multi-Grain Alaskan Cod. The product may contain small pieces of plastic that could pose a choking hazard or other physical injury to the mouth. There have been no reports of injury or illness related to the recalled product to date. The recalled product was sold at Albertsons, Amazon, Cub Foods, Jewel, Morey’s, Plaza Extra, Shaw's, Shoprite, Sprouts, SUPERVALU and Woodman’s. Consumers with questions may contact Trev Foley at 206-297-5825, Monday – Friday, 8 a.m. – 5 p.m. PST, or by email at trevf@tridentseafoods.com.